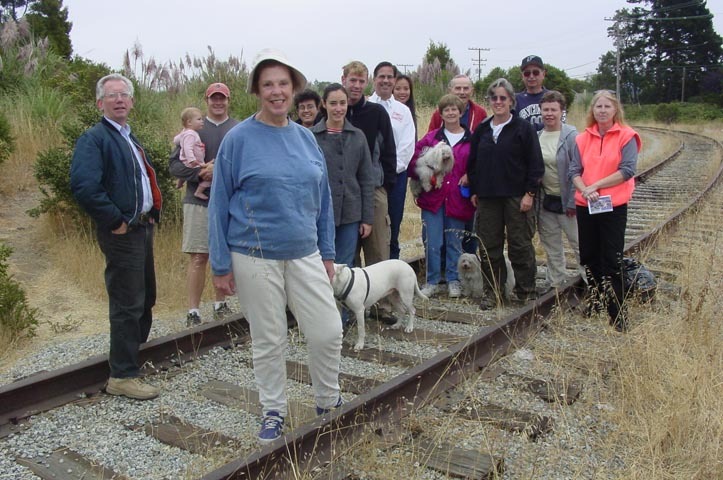 In 2002 Jean Sweeney, out in front, gathered a group of friends to clean up garbage that had been dumped on the Belt Line property. During the time the Belt Line Railroad owned the property, there were no fences so it was often used as an illegal dumping ground. Dorothy Freeman, seen with her two little dogs, owned a 1 ton truck that was filled to overflowing and the trash was taken to the proper dump. Jim Sweeney is standing behind Dorothy Freeman.